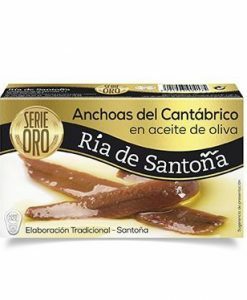 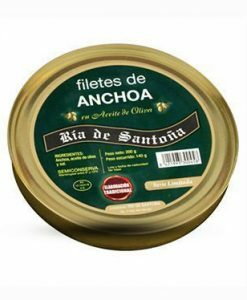 Buy Cantabrian anchovies Gold Series Ría de Santoña 50 g.
Cantabrian anchovies Gold Serie Ría de Santoña 50 g.
Cantabrian anchovies Gold Serie Ría de Santoña 50 g. in virgin olive oil are anchovies red colored, smooth and reddish. 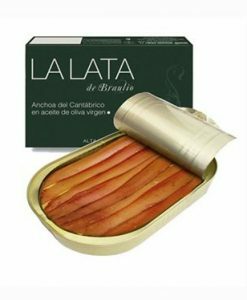 It is hand filleted and skinned by hand and the whole process is completely artisan. 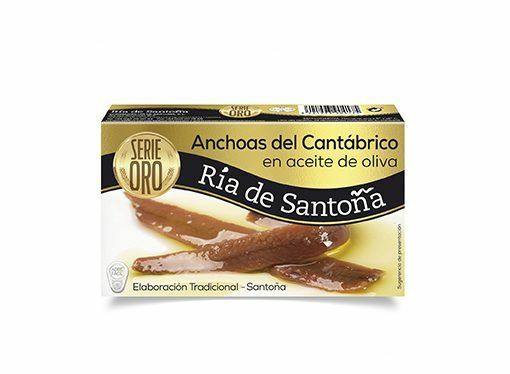 The Ria de Santoña anchovies fillets are distinguished for their low salt, with no spines and scales. 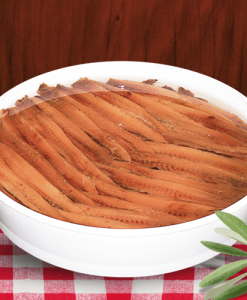 These Cantabrian anchovies are fished in a sustainable manner in Bay of Biscay during spring season and traditionally produced in the Cantabrian town of Santona.